Want to tone up to get into that little black dress? 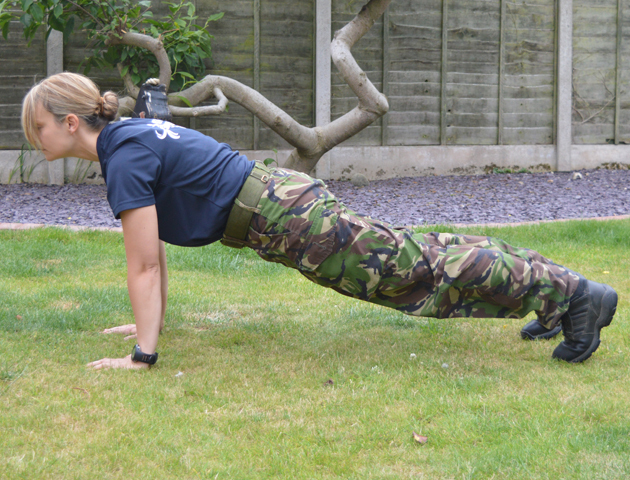 You know the saying: no pain - no gain, so here's how to shape up in record time, military style! 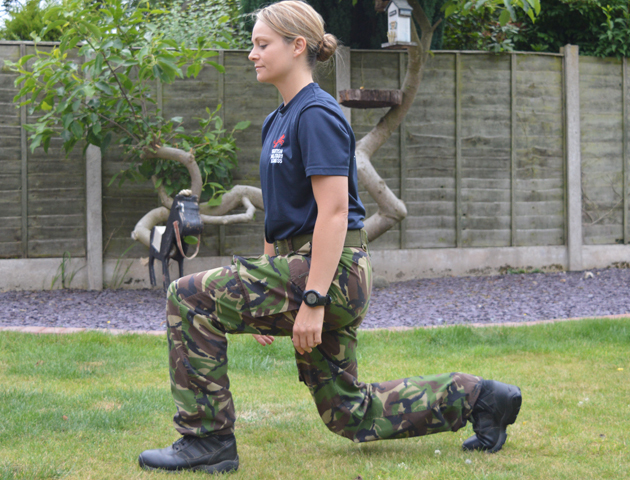 Devised by Vicky Kerr, instructor at British Military Fitness (BMF), these exercises can be done anywhere, anytime. As an incentive, hang your little black dress where you can see it every day – then jump to it and get started! Step forward, landing on the heel first, then lower yourself until the front knee is at 90 degrees to the ground and directly above your front foot. The back knee should continue until it nearly touches the ground. Jump up, bursting into the air, and switch legs in the air so you can complete the exercise landing on the other leg. Complete 10 times on each leg. Start with your feet shoulder width apart, place your hands on your temples with your elbows pulled back. Squeeze the shoulder blades together to keep the back upright. 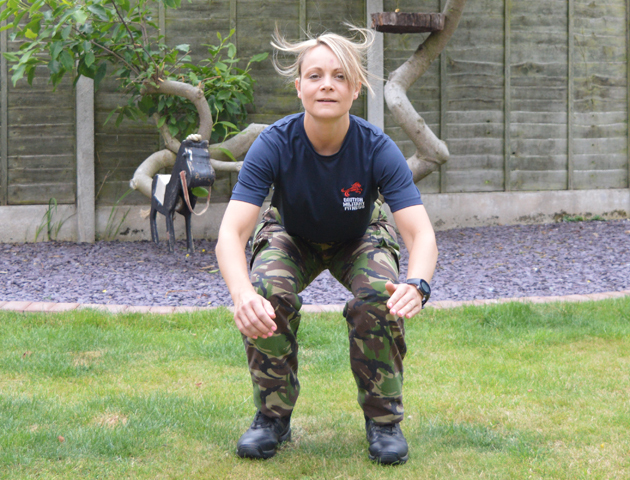 Lower your bum down to the floor and then as you stand back up, jump up into the air, landing in the starting position. Complete 10 -15 times. Lie down on your back with your knees bent and your feet flat to the ground. Proceed to raise your hips so your body forms a straight line from your shoulders to your knees. Hold this position for 30 seconds, before lowering your body back to the starting position. Lie flat on the floor with your lower back pressed to the ground and pull your navel in. Put your hands behind your head and do a crunch, lifting your knee at a 45 degree angle to the opposite elbow. Return to the starting position and repeat on the other side to complete a rep. Repeat 10 times. Lie on your left side with your legs straight then proceed to prop your upper body up on your left elbow and forearm. Raise your hips until your body forms a straight line from your ankles to your shoulders. 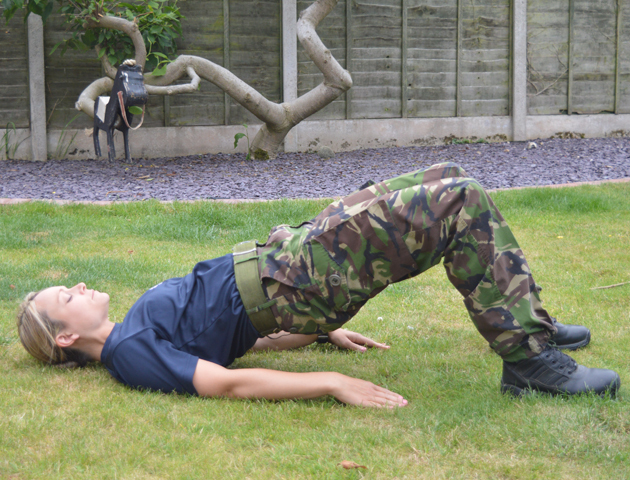 Hold this position for 30 seconds and then turn around so that you’re lying on your right side and repeat. Start in the standing position and jump into the air. As you do, bring your knees as high up as you can. Return to starting position and repeat 20 times. Start with your feet shoulder width apart, place your hands on your temples and elbows pulled back. Squeeze the shoulder blades together to keep the back upright. Lower your bum down to the floor and then return to starting position. Complete 10 times. Start in a press up position with your hands shoulder width apart. 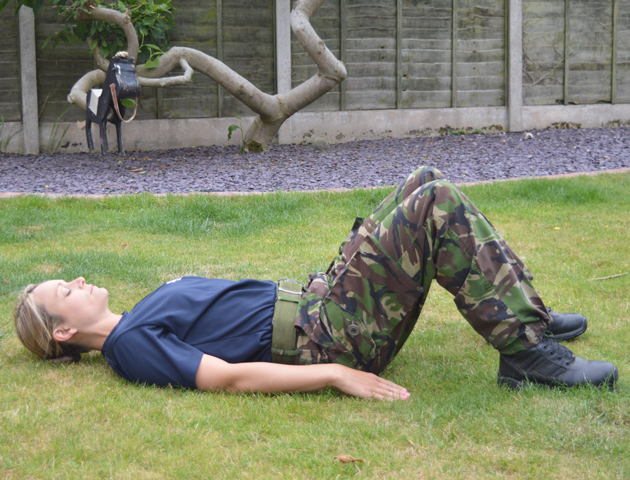 In one movement, jump your legs towards your chest, until you are in the tuck position. Jump your legs back out to the starting position. Complete 15 times. You’re done! All you have to do now is repeat, repeat, repeat! 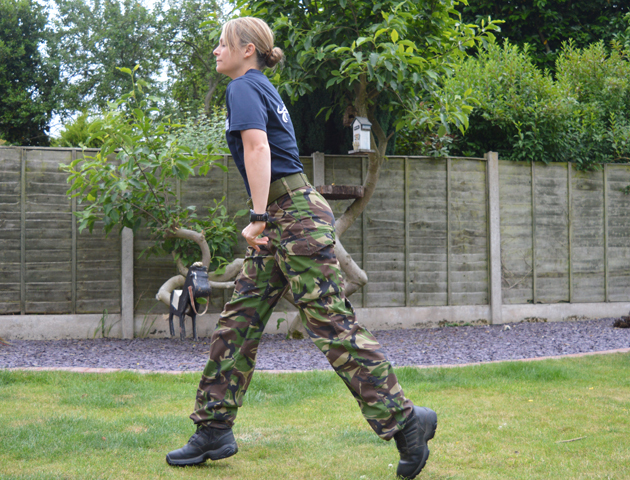 Find out more at British Military Fitness.